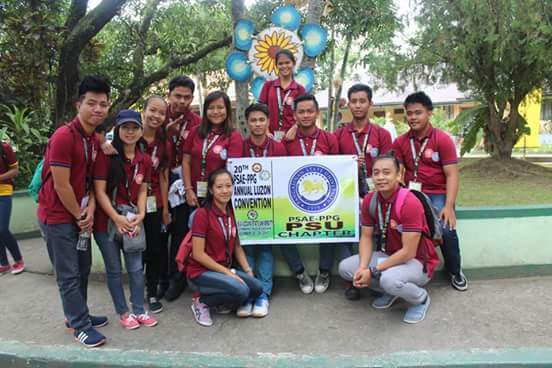 Congratulations to the Philippine Society of Agricultural Engineers – Pre-Professional Group (PSAE-PPG) PSU Chapter especially to the 13 Agricultural Engineering students who have attended the annual Luzon-wide Convention. Special thanks go to the PSU Administration through Dr. Priscilla Agsalud and Engr. Cecilia Cruz for allowing the students and the adviser, Engr. Jerves M. Geron, to attend the said convention. Winners of the Luzon-wide Convention are automatically qualified to join the National Convention in Albay on April 2017!